Escape everyday life and book your next vacation in this spectacular 5 bed, 5.5 bath home to create endless memories. The Be Our Guest Cottage boasts 3,728 sq. 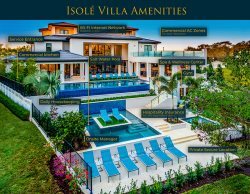 ft. with custom built kid's bedrooms, 2 games room, and more for everyone to enjoy resort style amenities in the privacy of your own villa. Look no further for the perfect vacation villa as Be Our Guest Cottage has everything you need to have an ultimate vacation and just minutes away from Orlando's world-class attractions. Be Our Guest Cottage is the perfect home away from home for you and your family to experience the ultimate family vacation.